I have a quick freebie for you all! We are so excited to celebrate St. Patrick's Day next week and we have so many fun activities to do. This past week was all about assessing to finalize report card scores and so therefore, my babies (and their teacher) are ready for some fun in the classroom again! We have been learning about main idea and supporting details this past week and will continue with some more activities after spring break. 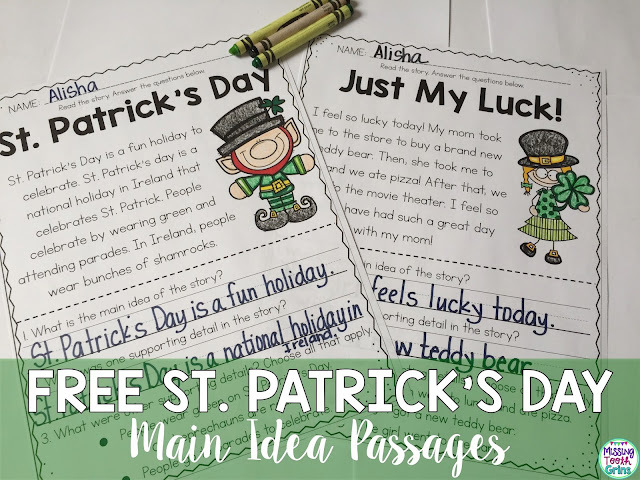 So therefore, I wanted to make sure the learning continued and so in enters these simple main idea passages, themed around St. Patrick's Day. 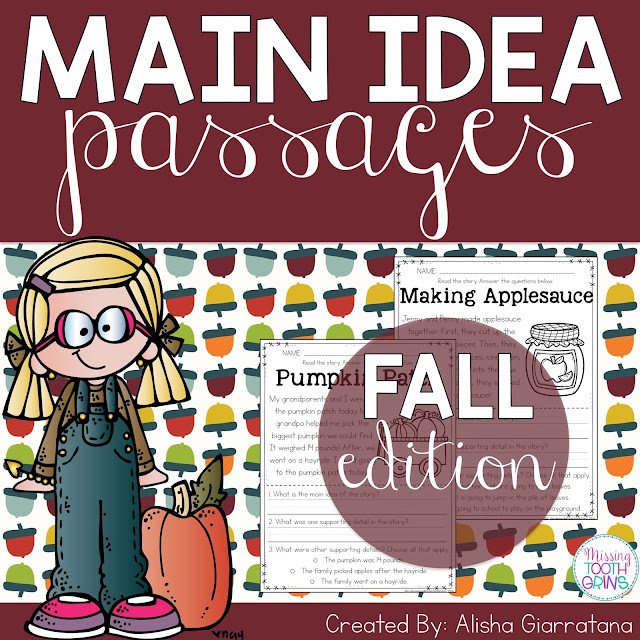 Click any of the pictures below to grab these three passages for free! Your ideas are always superb and that’s why I like reading your posts. I am planning to throw a party at one of local venues in Los Angeles but clueless about decorations. Really want decorations to be unique and outstanding.